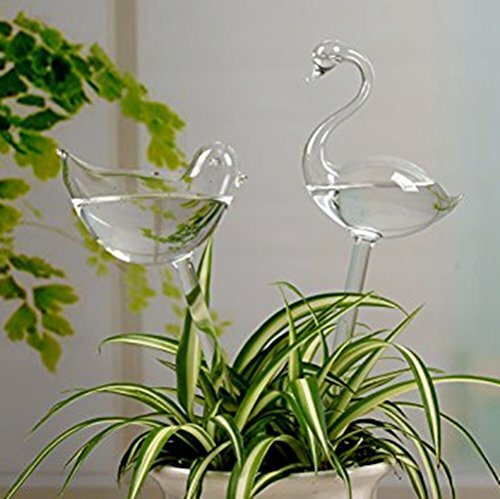 Cute bird shape, transparent hand-blown glass can attract a lot of flower and plants growers. Self-watering system eliminates the need to worry about leaving your plants unattended. Perfect for vacation plant watering. High quality PVC material, not easy to broken , good translucent color, can clearly see the amount of water inside . Easy to use. Simply fill the globe and insert it into soil. (To prevent dirt blocking water out, you can use wet wipes or a piece of cloth for wrapping the water outlet. If you have any questions about this product by LEIGE, contact us by completing and submitting the form below. If you are looking for a specif part number, please include it with your message.